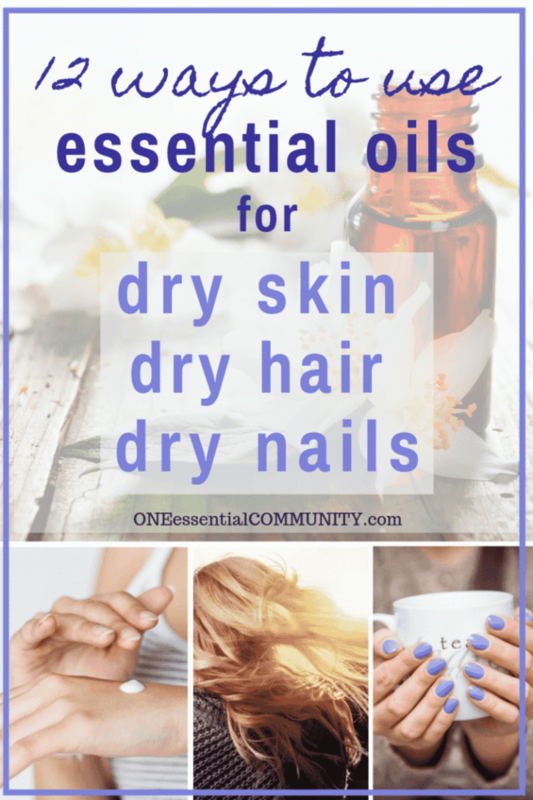 I’ve had dry, itchy, sensitive skin my entire life. 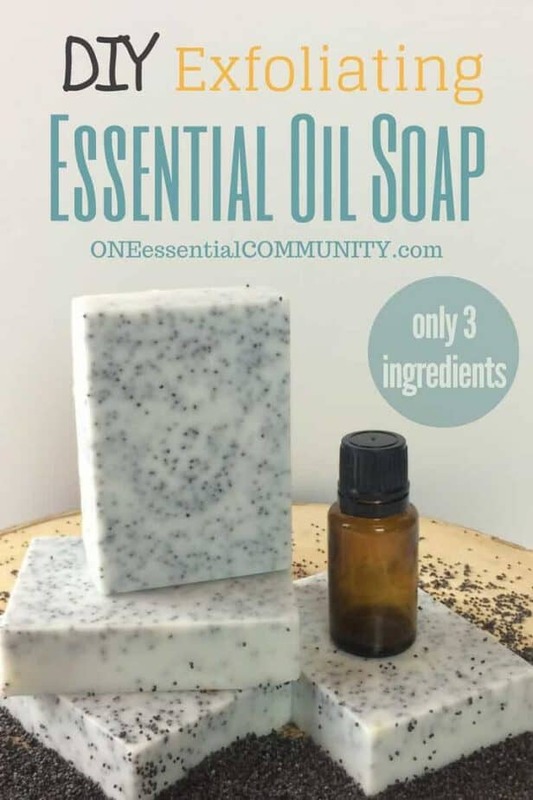 So I’m always looking for new ways to take care of my skin, and this essential oil soap is exactly what I need! 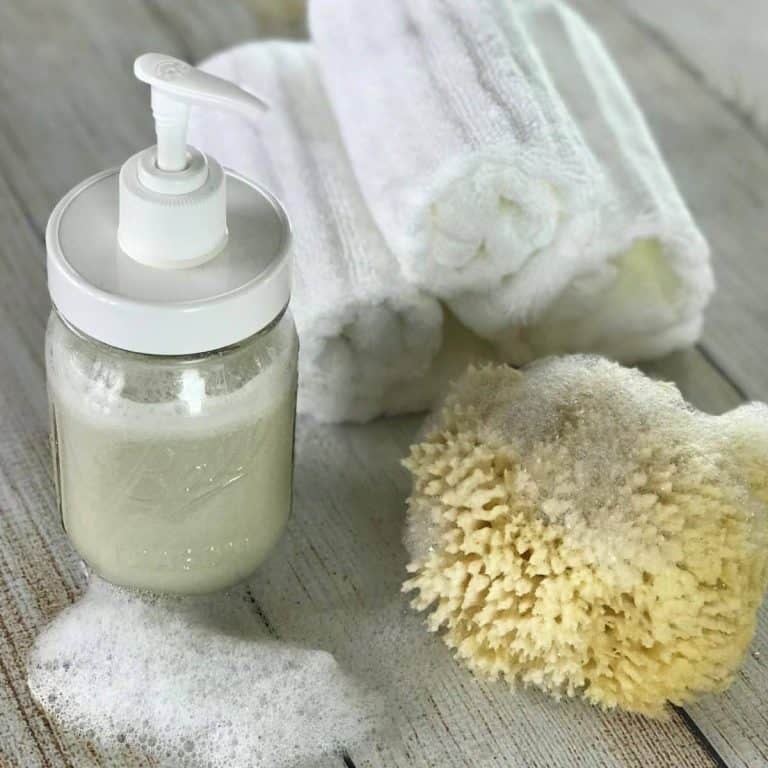 (1) It gently exfoliates, removing dead skin and revealing healthy new skin. (2) Unlike most soap which is drying, this soap actually moisturizes my skin as it cleans. 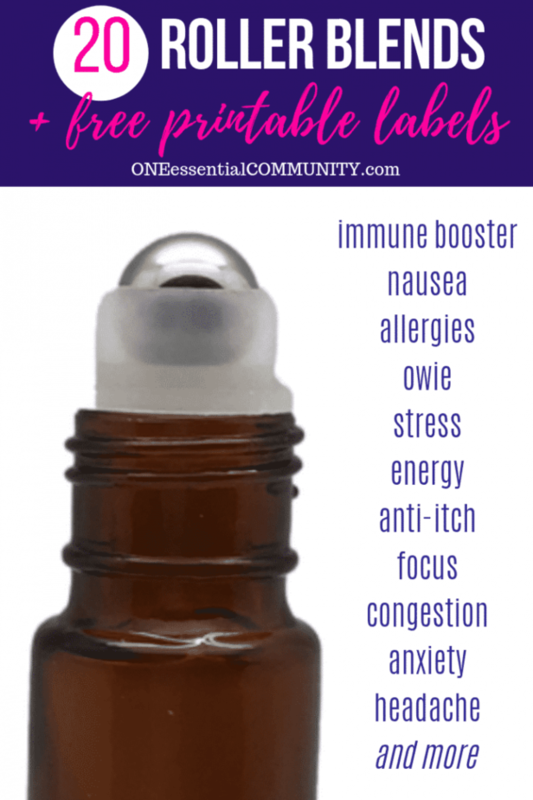 (3) The essential oils help calm and soothe my skin. 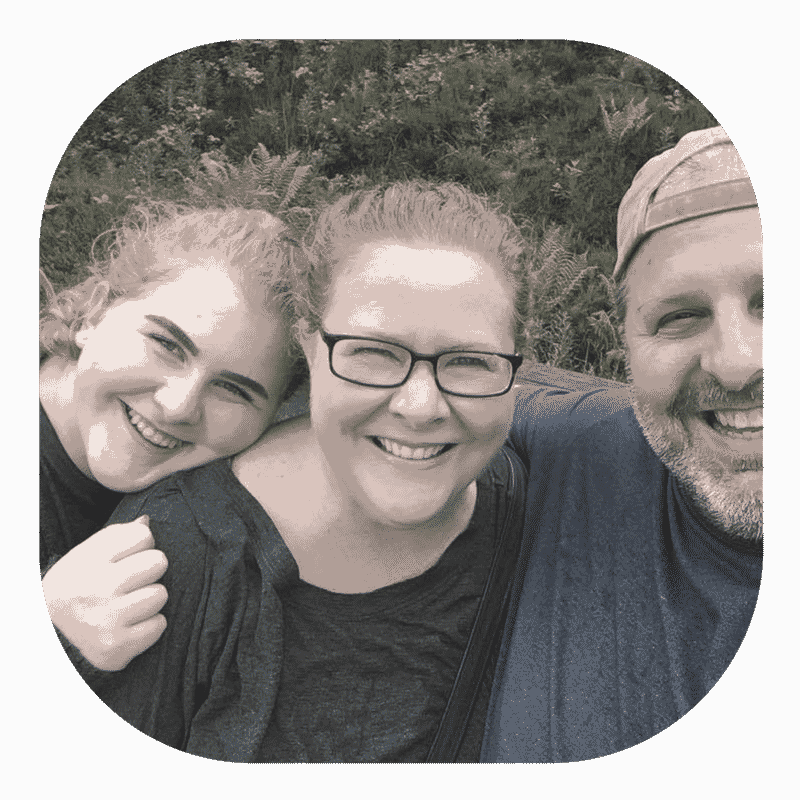 What’s in my Exfoliating Essential Oil Soap? 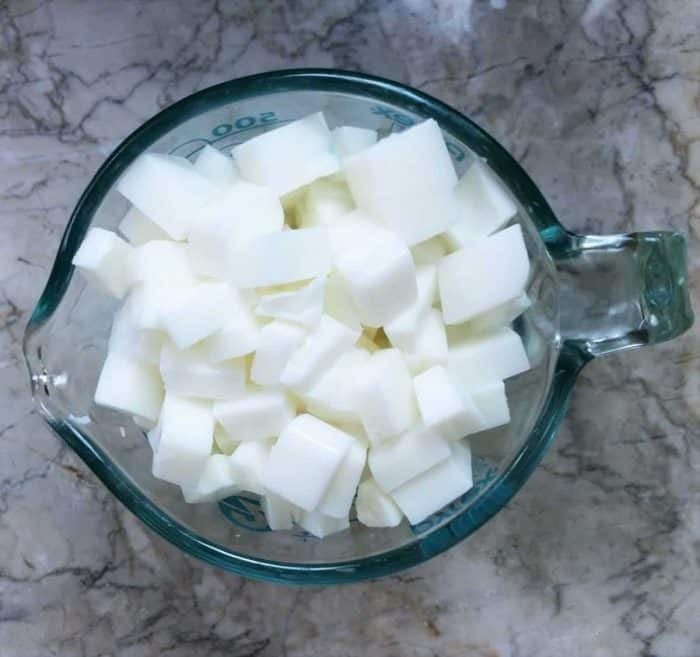 Melt & Pour Soap (like this)- if you haven’t used melt & pour soap yet, you’re going to love it. 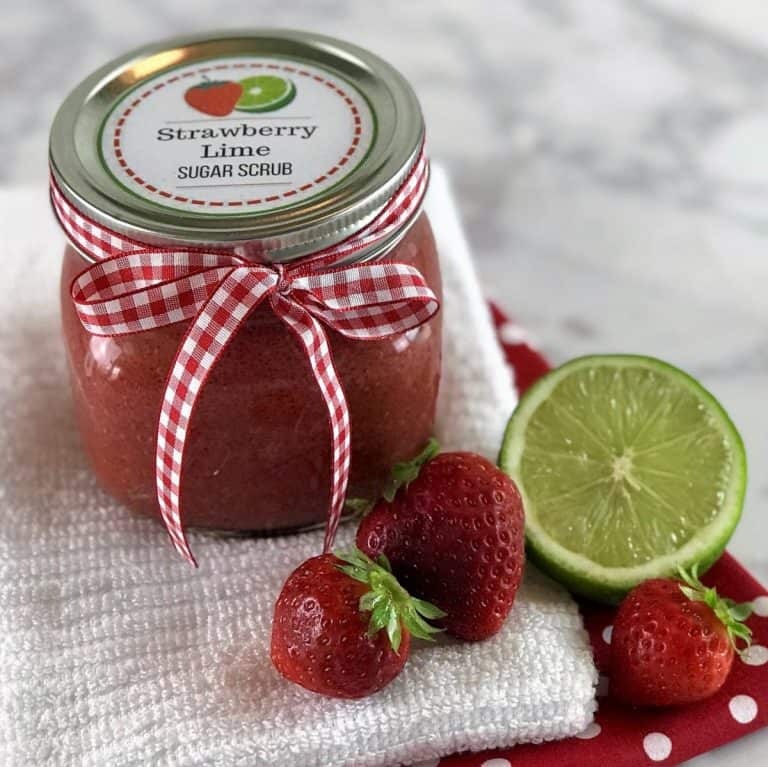 It is super easy to use it to make all kinds of DIY projects – not only soaps, but also solid sugar scrubs, exfoliating scrubs, and more. There are lots of kinds of melt & pour soaps. 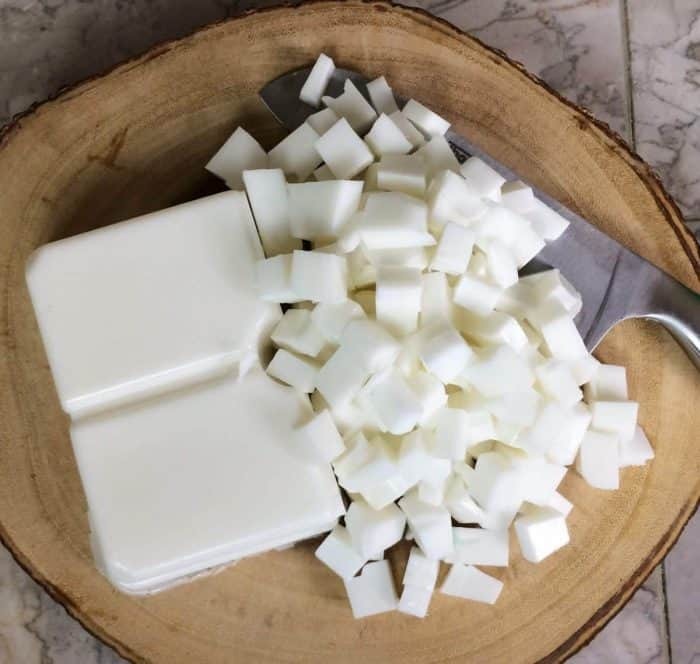 Some are clear, some are lily white, some are made out of goat’s milk, some have oatmeal to exfoliate and calm skin, some have shea butter or cocoa butter added to them. 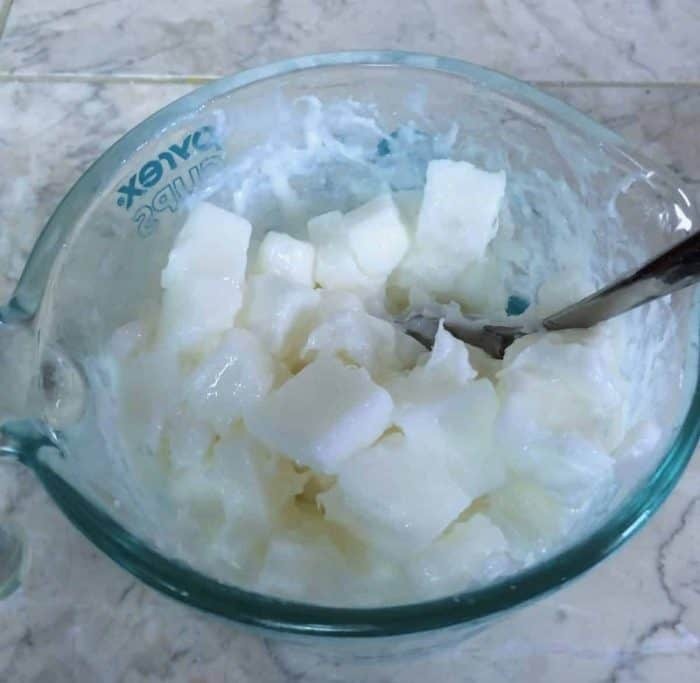 For this project, I chose to use a melt & pour soap (like this) with both glycerin and shea butter so that it was extra moisturizing and nourishing for my skin. 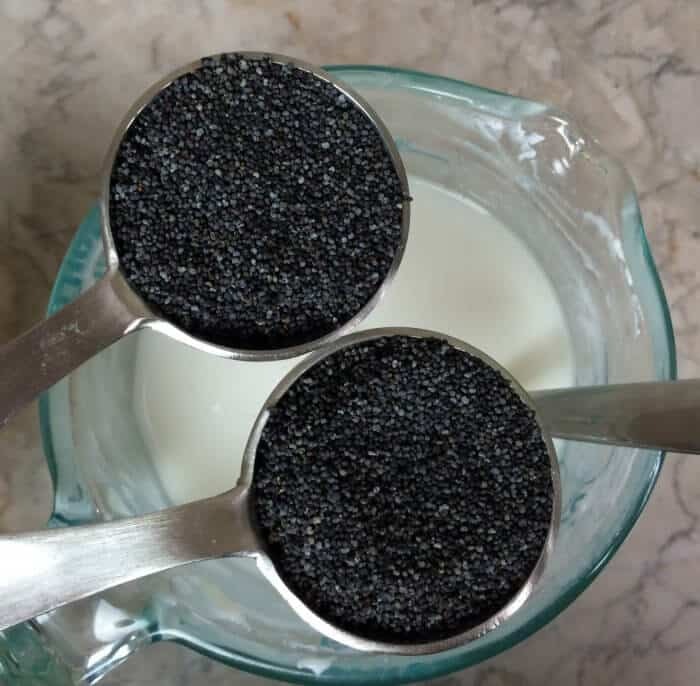 Poppy Seeds– Yes, you read that right, poppy seeds. 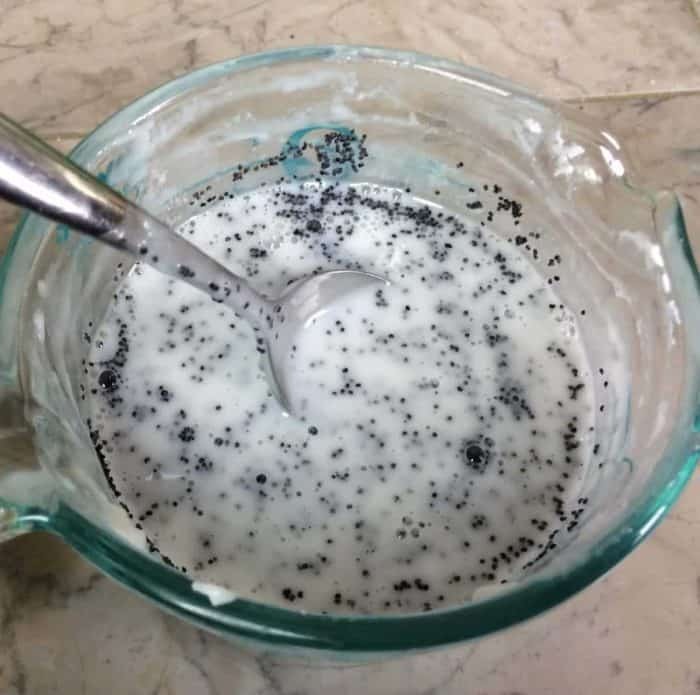 Pull out your little spice jar of poppy seeds from your cupboard. It’s the perfect thing for natural, gentle exfoliation. 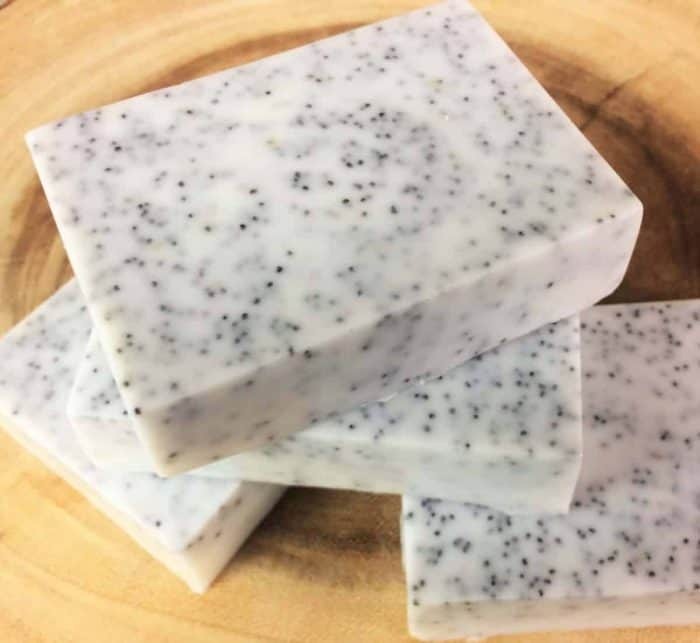 As you use the soap, the soap will lather up and expose those tiny little poppy seeds in the next layer of soap. 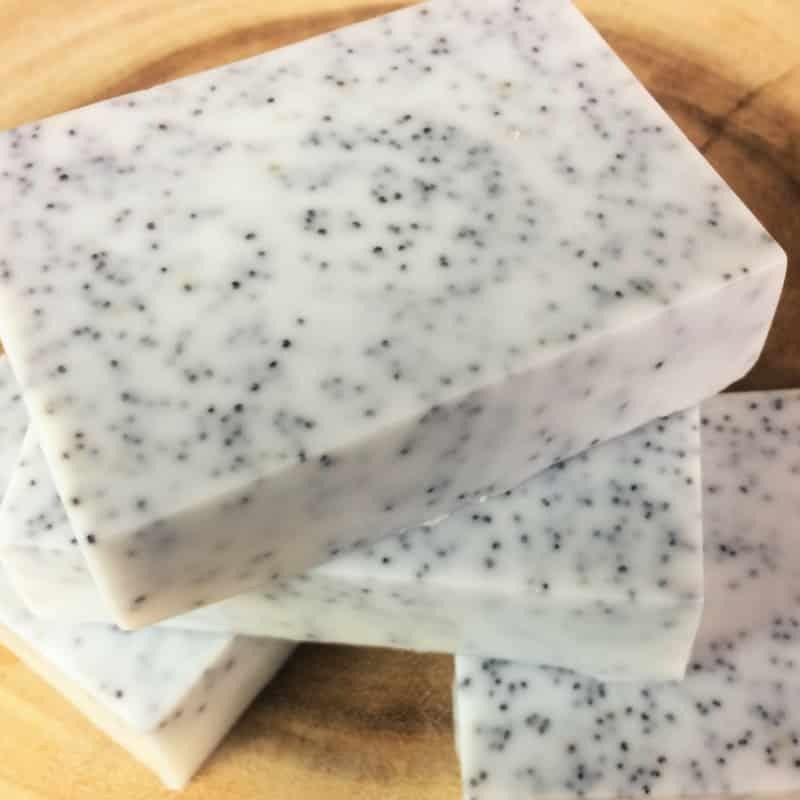 The poppy seeds gently slough away dead skin without aggravating or scratching your skin. And once they’ve done their job, they simply fall to the shower floor and get rinse down the drain (without any of the bad environmental effects of those artificial microbeads that used to in manufacturered personal care products). Essential Oil– I share lots of essential oil blend recipes in the free printable below that you can use to customize your exfoliating soap. 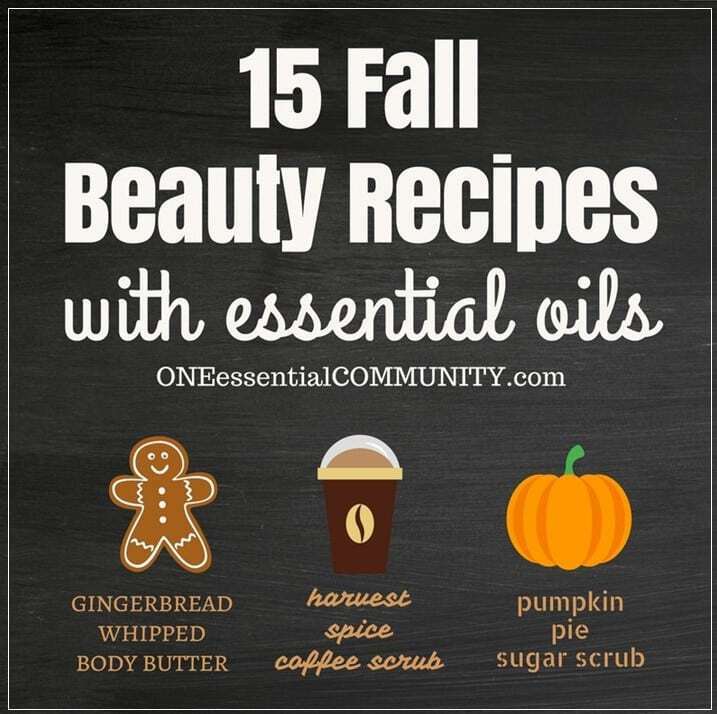 Or make up your own essential oil blend using your favorite oils. 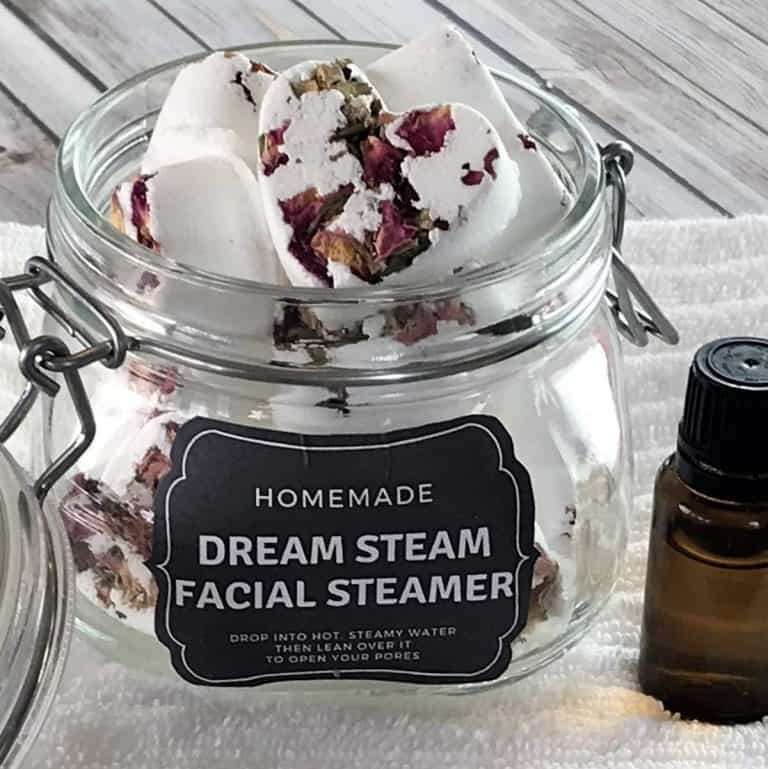 You can choose essential oils that are soothing and calming for skin. Or choose essential oils that energize and wake you up in the morning. Or choose an EO combination that relaxes and grounds you. Or choose essential oils that help support your clear breathing in the winter months. Or choose a blend that is just a favorite scent. 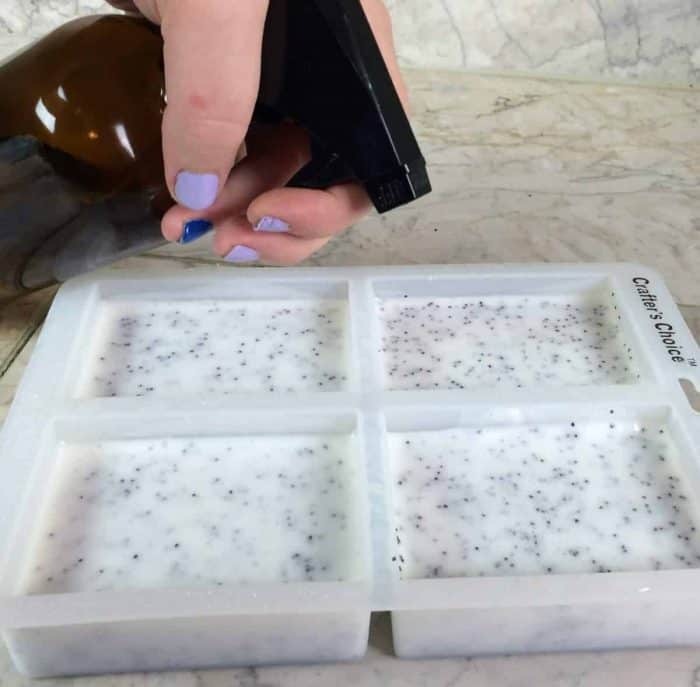 That’s what great about this homemade soap, you can customize it however you want. 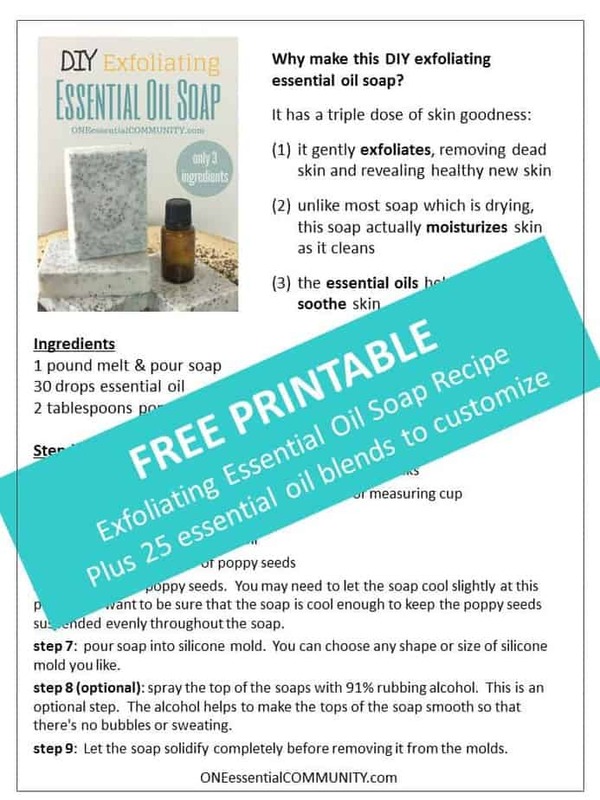 CLICK HERE for a FREE PRINTABLE of recipe as well as 25 essential oil blends to customize your soap to be soothing & calming for your skin, energizing, relaxing, grounding, or a favorite scent. This is what the melt & pour soap should look like when it is completely melted. step 6: Stir in the poppy seeds. You may need to let the soap cool slightly at this point. 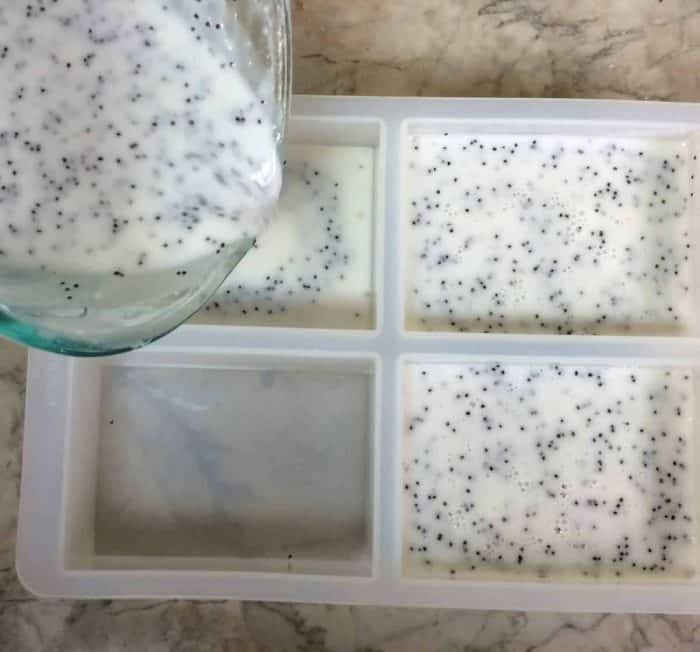 You want to be sure that the soap is cool enough to keep the poppy seeds suspended evenly throughout the soap. 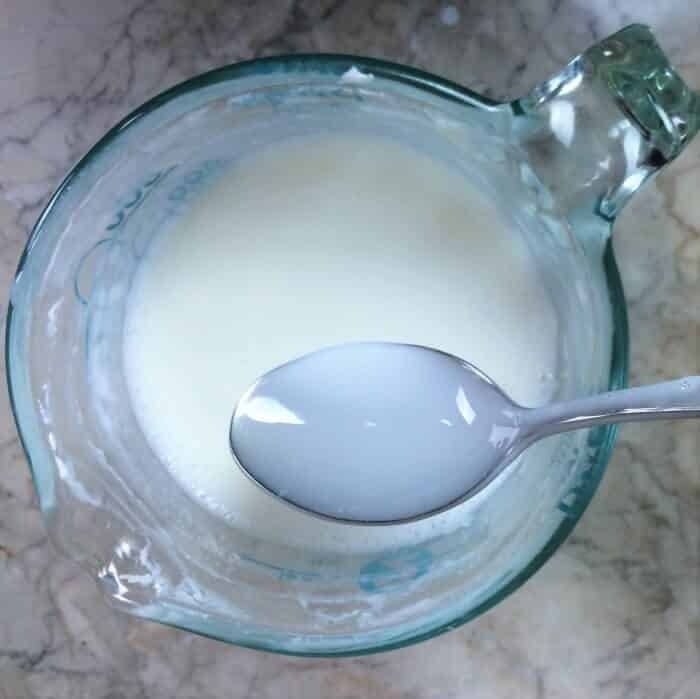 This is what the soap mixture should look like when it is ready to pour into the molds. 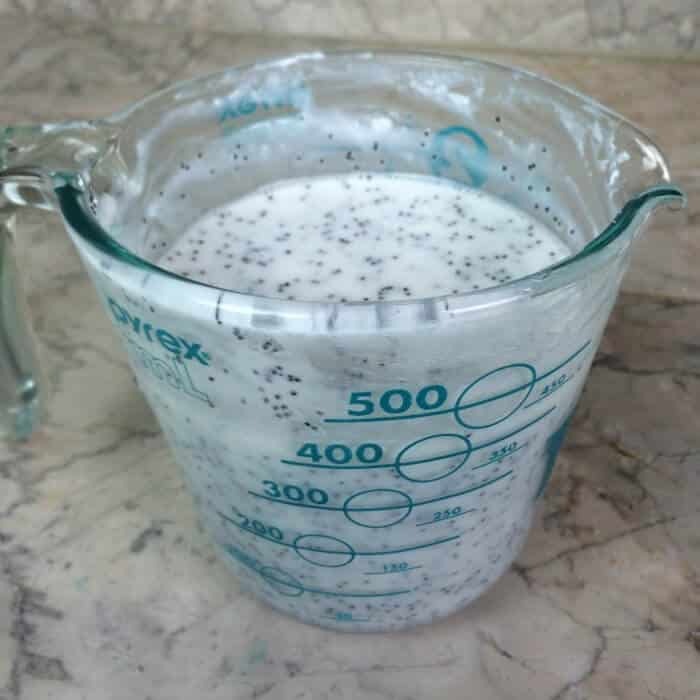 See how the poppy seeds are evenly suspended throughout the mixture, even when you look at the mixture through the side of the measuring cup? step 7: pour soap into silicone mold. You can choose any shape or size of silicone mold you like. If you have a silicone cupcake mold, use that. Or you can turn this soap into cute little flowers or hearts. I used a simple 2.5″ by 3.5″ silicone soap mold (find it here). 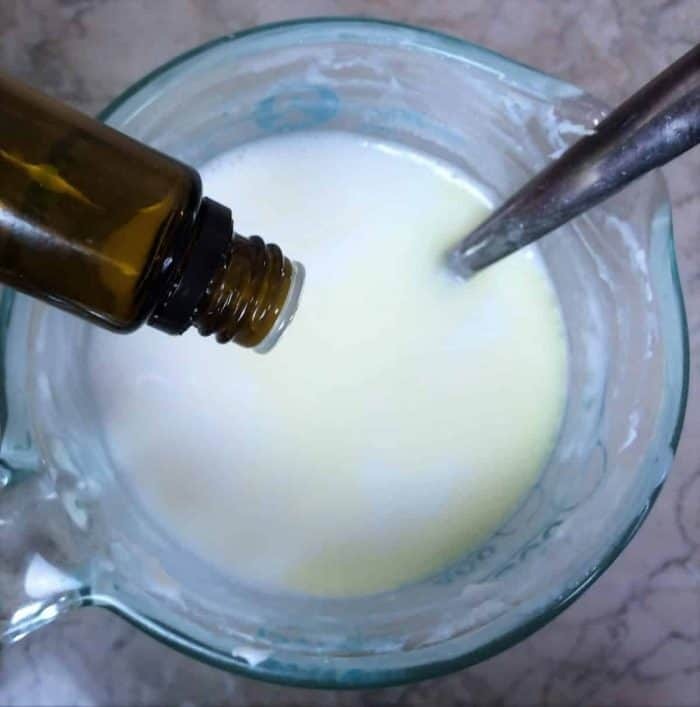 step 8 (optional): spray the top of the soaps with 91% rubbing alcohol (find it at your local drug store or here). This is an optional step. The alcohol helps to make the tops of the soap smooth so that there’s no bubbles or sweating. step 9: Let the soap solidify completely before removing it from the molds. step 8 (optional): spray the top of the soaps with 91% rubbing alcohol (find it at your local drug store or here). This is an optional step. The alcohol helps to make the tops of the soap smooth so that there’s no bubbles or sweating.